Nothing makes your heart sink faster than turning the key on your classic car and hearing that familiar clicking of the starter. Batteries can drain down when not used regularly or when at your local car show and your car sits with the doors or trunk open for extended times. The best insurance you can have is a battery disconnect, as not only does it prevent battery drain down it also serves as a fire and theft deterrent when your car is stored in the shop. Mark Simpson discusses several battery disconnects available from the “Battery Doctor” and installs one in our project car. 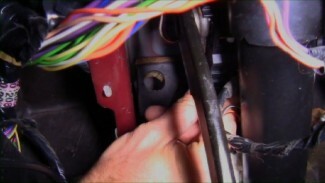 It’s time to do the under dash wiring for the cruise control system. Brent Ackley recommends using the instruction manual to tell exactly which wires need to get tied to other wires. 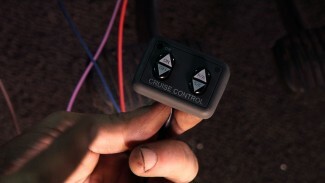 After the wiring is done, Brent installs the cruise control switch and shares why they chose the style that they did. 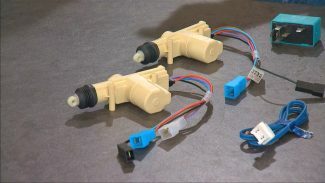 George Vondriska explains that malfunctioning cruise control comes from a broken brake switch and it can be a real cheap and easy fix as long as you know you way around a dashboard. 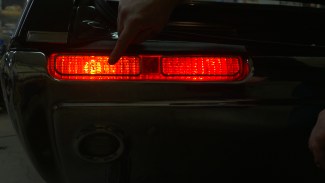 Use these helpful tips provided in this video to go through a brake switch replacement for your classic car with ease!